Inayat is an international provider of high-quality training in mental health, mediation, domestic abuse, parenting and counselling. Our courses are available as open courses from our base in Lancashire and we can also provide in-house bespoke training to meet your needs. Please contact us regarding your requirements. Inayat tutors are chosen for their professional qualifications, practical knowledge, experience and their reputation for excellent communication skills. 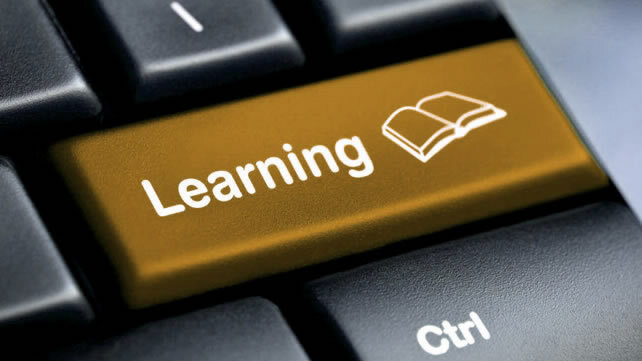 We use a wide range of learning techniques as our aim is to provide you with the highest possible standard of training and enable you to make immediate use of your learning. We want you to leave your chosen course with solid practical solutions that you can put into practice. Our training is informed, evidence-based, practically focused and always delivered in an engaging way which leads to excellent evaluation and delegate feedback. Please contact us to discuss your individual and organisational training requirements. This course is an introduction to the key principles of counselling. The course will also develop counselling skills based on the attitudinal qualities of empathy, congruence and unconditional positive regard. The skills covered include active listening, accurate reflection of content, feeling paraphrasing and summarising. The course covers the theory and practice of cognitive-behavioural therapy and training. Some of the topics included are agenda setting, thinking errors (i.e. cognitive distortions), downward arrow, the importance of homework assignments, and the use of daily thought records/dysfunctional thought forms. At the end of two days participants will have a more broader understanding of CBT and its application. This course includes the theory of stress and introduces effective management strategies. The course takes a multimodal cognitive-behavioural approach to stress management and is based on current research and practice. Some of the topics included are individual and organisational symptoms of stress, thinking errors and thinking skills, stress mapping, stability zones, relaxation techniques, biofeedback, pressure and stress, lifestyle management, physical outlets, management of the personal work environment, Type A behaviour, locus of control, time management, coping strategies at work and home. During the course of the two days Islamic interventions will be incorporated into the stress management plan. The course looks at trauma and PTSD within a cognitive-behavioural framework. The course covers the signs and symptoms associated with trauma and PTSD, assessment and the application of relevant cognitive behavioural strategies used in the treatment of trauma and PTSD. Participants will be introduced to the importance of religion and spirituality playing a central role in the management and healing of the trauma. The course includes theory and experiential skills-based learning. The course assists participants in supporting bereaved friends and community members. Over the course of the day participants will gain an understanding of bereavement and the factors affecting the grieving process. Participants will learn about the Islamic faith’s view on grief as well as some of the prominent western approaches to grief. The course supports participants in increasing their confidence, improving their communication and inter-personal skills with people who have been bereaved. The course is interactive so there will be ample time for discussions and questions. The course supports individuals to help individuals who are struggling to manage their anger. The course adopts a multimodal approach to anger management using a range of techniques from various modalities including behaviour, affect, sensory, imagery, cognitions, interpersonal, drugs and religion/spirituality. Over the 2 days participants will pay particular focus on Islamic approaches to anger through the Quran and Sunnah of the Prophet Mohammed peace and blessings be upon him. Participants will practice skills and work through role-plays, supporting them to solidify their theoretical learning. The course will provide participants with an understanding of counselling from an Islamic perspective. Course participants will understand the therapeutic aims and objectives of Islamic counselling. The therapeutic relationship when working with Muslim clients will be explored. Students will critically examine the major ‘western’ approaches to therapy. A specific focus will be paid to cognitive therapy and its specific applicability to Muslims. The course provides a brief overview of CBT and describes how religious beliefs and behaviours can be integrated into a CBT framework. Students will be introduced to Religiously Integrated Cognitive Behavioural Therapy (RCBT), a therapeutic approach designed to assist depressed individuals to develop depression-reducing thoughts and behaviours informed by Islamic beliefs and tenets, practices, and resources. This course will also highlight various beliefs in the Islamic faith that may be incorporated into the counselling process with a particular focus on the cognitive restructuring model. The course will help increase participants’ understanding of physical, emotional and psychological signs and symptoms of self-harm. The course will help develop an understanding of the key steps to help young people reduce their harming behaviour. Participants will learn questioning skills that work with young people who self-harm and help them find out about alternative coping strategies for young people who self-harm including spiritual and religious interventions that would be beneficial. The course will provide participants with an introduction to depression to help increase their awareness of the most common mental illness. Over the course of the day participants will be provided with a definition of depression, useful facts and information about depression will be highlighted, an exploration of the signs and symptoms of depression and a look at the possible causes. Participants will be taught CBT techniques to help clients with depression and a particular emphasis will be put on Islamic tenets to aid recovery. The course will provide participants with an introduction to anxiety disorders. At the end of this course participants will be able to describe the main types of anxiety disorder in people. Participants will also learn how to recognise the signs of anxiety disorder in children and young people. During the course of the day reflections on how much anxiety is ‘normal’ will be explored. Participants will develop strategies to support experiencing anxiety with a particular focus on Islamic teachings and remedies. Most people with thoughts of suicide don’t truly want to die, but are struggling with the pain in their lives. This course looks at the facts and figures relating to suicide, discusses the suicide continuum and looks at potential issues that make people lose hope and sadly decide to take their own lives. Over the course of the day participants will look at the warning signs that are important to be aware of and develop skills and strategies to support people who are thinking of taking their own lives. Our Mental Health First Aid Lite course is an introductory three-hour mental health awareness course. * Look after your own mental health. MHFA for Schools and Colleges has been designed especially with schools in mind. Based on the Youth MHFA course but targeted to meet the needs of educational environments, MHFA Schools will cover key topics around young people’s mental health and wellbeing, with a strong practical focus on how to support young people experiencing mental distress. Our Youth MHFA course over 2 days is split into four manageable chunks. • What is mental health? Within each section there is clear focus on the issues faced by young people today, including bullying/cyber bullying and substance misuse. The course also teaches the importance of promoting well-being and protective factors. This qualification allows learners to understand the role of a mentor and be aware of the skills needed to become an effective mentor. The aims of the course are to help learners to gain insight into the role and practice of mentorship, be clear about mentor/mentee relationships, ensure they follow good practice, be aware of the specific skills and understanding they will require in order to mentor in community settings. The course provides participants with an introduction to the theory and practice of problem solving within coaching settings. This two-day workshop is based upon the 7 step problem solving model of problem identification, realistic goal development, alternatives generated, consideration of consequences, target most feasible solution, implementation of chosen solution, and evaluation. For the purposes of skills training, participants should be prepared to discuss two personal problems in small group work. Normal rules of confidentiality apply. The course focuses on the theory and practice of assertion and communications skills. The course takes a cognitive behavioural approach. There will be an emphasis on skills practise and course participants will be given opportunity to practise assertion and communication skills, step by step. Assertion skills such as negative feelings assertion, fogging, workable compromise and setting clear boundaries will be covered. Communication skills such as sending and receiving skills will be included. This course trains community mediators to undertake community mediations. The course consists of 5 x 2 day modules. This mediation course focuses on providing participants with a background on the mediation profession and its rise in the UK. It will provide a definition of mediation, the principles of mediation will be discussed, the role of the mediator will be explored and there will be a detailed discussion regarding the essential qualities mediators must possess. During the course of the 2 days participants will familiarise themselves with the 7-stage mediation process. Conflict is an inevitable part of our lives. Yet how equipped are we to deal with the conflict? The course presents an opportunity for participants to look at conflict in more detail. The course includes discussions, team role plays, feedback and debriefing sessions. The course teaches participants a range of communication skills required to become effective mediators. Over the course of the two days participants will cover skills including effective listening, questioning, summarising, clarifying, probing, empathy, building rapport, facilitation, problem solving, solution building and numerous others. The course is practical and students will at length practice skills, feedback and evaluate with the other participants. The course will be theory and practice based, role plays and case studies will be used to highlight specific differences. A 2-day intensive skills session to prepare mediators to undertake mediation meetings. The participants will work on case-studies and take part in role plays. Restorative justice gives victims the chance to meet or communicate with their offenders to explain the real impact of the crime – it empowers victims by giving them a voice. It also holds offenders to account for what they have done and helps them to take responsibility and make amends. Restorative justice is about victims and offenders communicating within a controlled environment to talk about the harm that has been caused and finding a way to repair that harm. For offenders, the experience can be incredibly challenging as it confronts them with the personal impact of their crime. For victims, meeting the person who has harmed them can be a huge step in moving forward and recovering from the crime. This one-day course assists participants in understanding the key principles and skills required in restorative justice. A course that introduces participants to the problem of domestic abuse. An interactive, practical day on Adolescent to Parent Violence (APV), designed to raise awareness of the topic and provide participants with an opportunity to explore the dynamics of the issue as a profile of domestic abuse. Information will be provided on definitions, background theories, prevalence, risk factors, case studies and behaviour patterns. Consideration will be given of the problems of engaging with families around this issue and an overview of current service provision (models of work) will be provided.